No matter your “diet” or food preferences, eating healthy does not mean that you have to eat bland food or salads all day. Do we like a good salad? Absolutely! But we also enjoy plenty of other dishes! So whether you are looking for some new recipes to change up your current menu, or trying to get a friend or loved one to eat a little healthier, the three recipes below are easy and quick to make, AND “non-healthy” eaters won’t even know that they are healthy! This overnight oat recipe here was one of the first recipes we gave to a friend who claimed to hate oatmeal, and he devoured it! 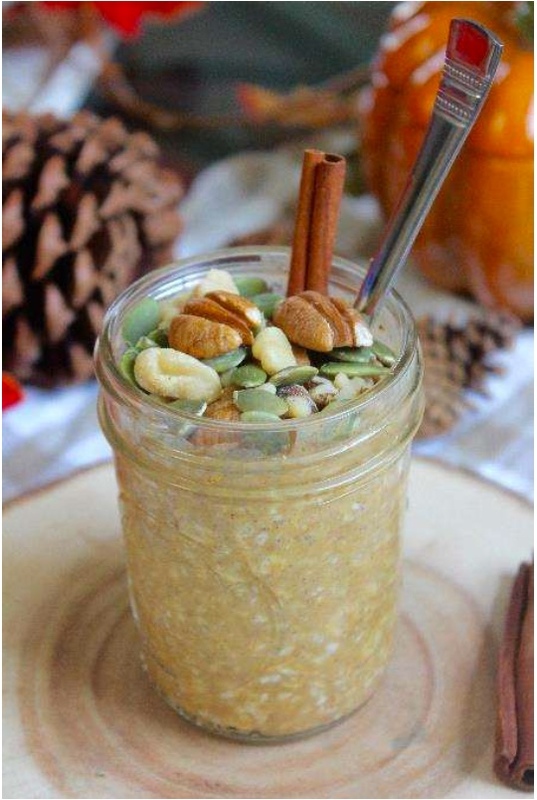 If you are not really a pumpkin person, swap in other flavorings and fruit of choice! Our nutrition plan that you can get here also has tons of overnight oat recipes for you to try! 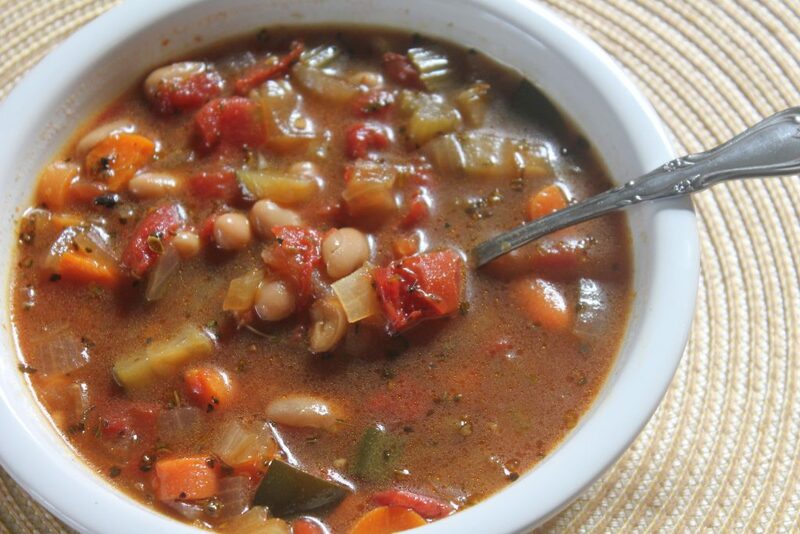 This soup can be made quickly on the stovetop, or tossed into a crockpot to simmer away while you do other things. Either way, it is an easy and tasty way to get in your veggies this season (and it makes your house smell delicious). Heat a large pot with a splash of water or vegetable broth, and add the onion and celery. Cook for a few minutes until soft. Add the garlic and cook for an additional minute. Then add the carrots, zucchini and all of the herbs and spices and cook for a couple of minutes. Finally, add the tomatoes, beans and the broth to the pot and bring to a boil. Reduce the heat to medium-low and simmer for about 15 minutes. After 15 minutes, stir in the spinach or kale, and cook for another few minutes. Serve in bowls and garnish with fresh basil! *If needed, you can always add more broth or water. No healthy food post would be complete without a dessert, right!? 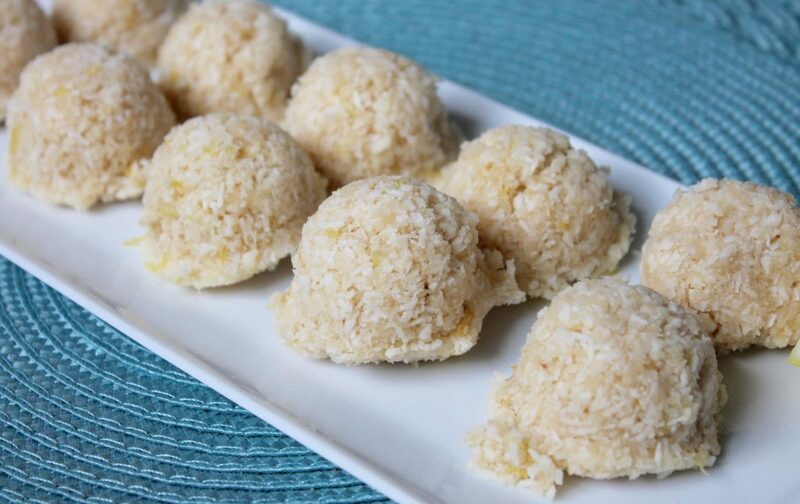 You can whip up any of the coconut macaroon recipes from the nutrition plan, or make these lemon ones here! Can’t decide which flavor you want? Luckily these macaroons are no-bake and take only minutes to make, so you’ll have time to make different flavors! Next It’s Back! Your Free Workout Schedule!